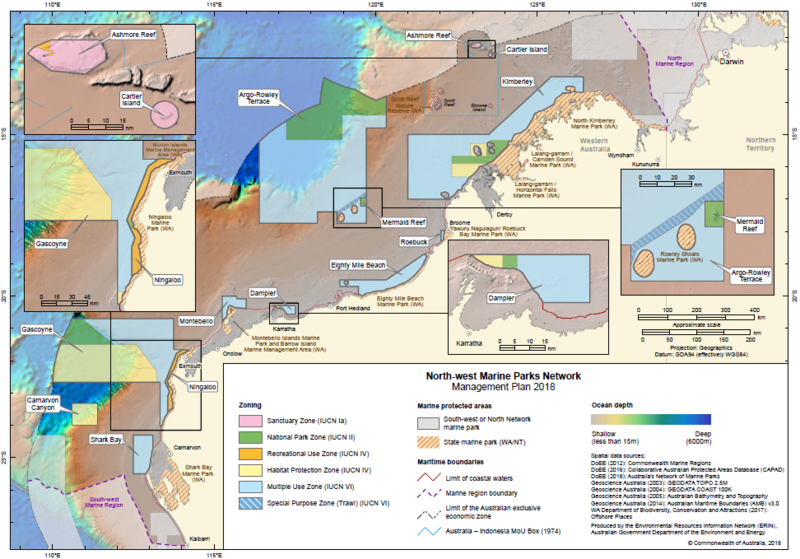 There are 13 Australian Marine Parks off the north-west coast of Western Australia that make up the North-west Network. Covering 335,341 square kilometres, marine parks in the north-west include coral reefs, soft sediments, canyons and limestone pavements. The iconic whale shark is found at Ningaloo, and every year humpback whales migrate through the region to and from their breeding grounds off the Kimberley coast. 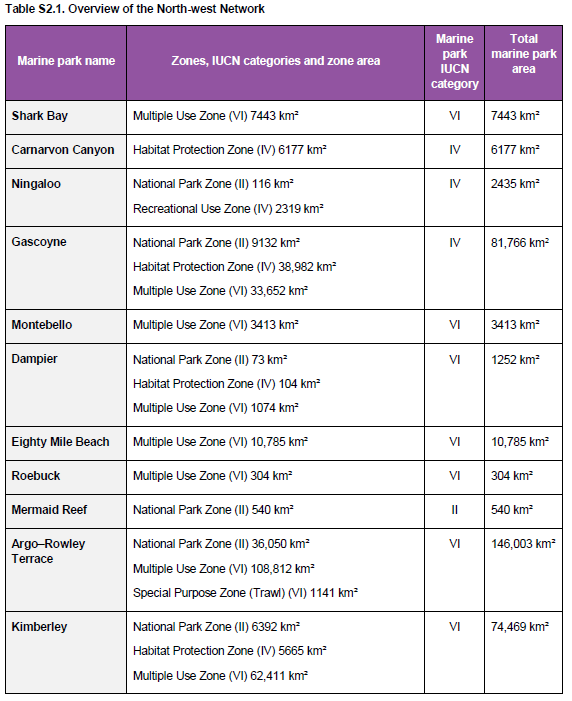 See the North-west Network factsheets, setting out the zones and rules for marine parks in the network.